GOLO was featured on the Dr. Oz show to join forces against Fake Diet Reviews and to spotlight the GOLO Release nutraceutical and recent clinical study results. Dawn shared her GOLO journey with the world on the Dr. Oz show. 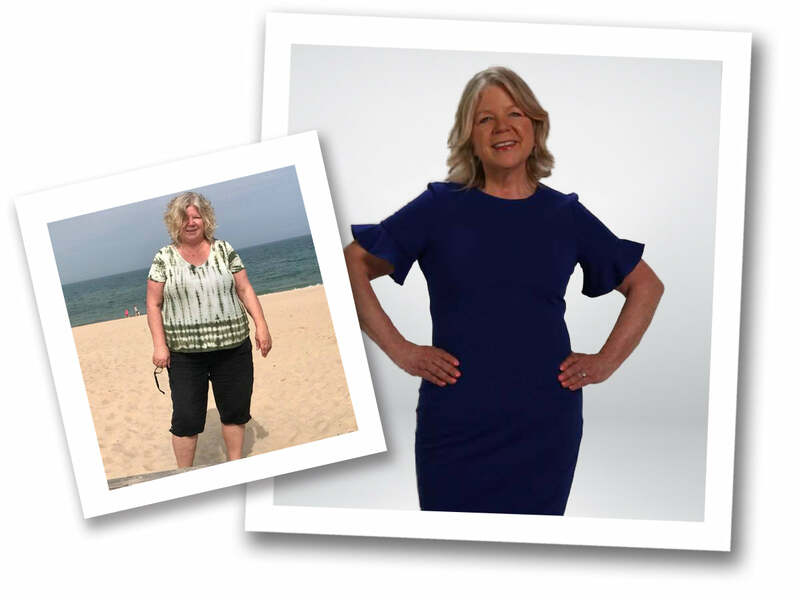 Study participant Dawn discussed how she reclaimed her life and lost a significant amount of weight in the study – and her continued weight loss after the study. Dawn felt lucky to be chosen for the study and quickly felt that she must have been given the GOLO program because she felt the difference right away in how her anxiety lessened, her sleep improved and she started losing weight right away. And within a short time, she lowered her cholesterol and triglycerides too. In a recent double -blind placebo controlled study, participants on the GOLO Release supplement lost 79.9% more weight than the group taking a placebo. Over the last 10 years, dieters have spent over 500 billion dollars on dieting and diet products. Yet we all keep getting heavier. Worse still, most overweight people end up taking one or more medications to manage weight related health conditions such as high blood pressure, diabetes, pain and inflammation and heart disease. You may think that weight loss results in better health, but that isn’t true. Losing the same 10, 20 or 50 pounds over and over again, crash dieting or restricting calories or food groups slows your metabolism, disrupts the hormones that control weight and increases your risk of serious health conditions. If you are diagnosed with a weight related condition like high blood pressure, a thyroid disorder, diabetes or heart disease, the pharmaceutical industry will gladly give you a prescription. Most of these drugs cause weight gain and have horrific side effects. Over 50% of overweight people are on weight related medications and 90% of overweight people will end up on them. Who wins? Diet companies, processed food companies and drug companies. It’s a vicious cycle that can ruin your life. Rethink your strategy! Clearly conventional dieting is not working and losing weight the wrong way is contributing to our health issues which are reaching epidemic levels and destroying lives. Who is to blame? The processed food industry, diet meal replacements, diet shakes and bars, and low fat, low carb diets, diet pills and fake diet news controlled by the diet industry. Do you really think those high-paid celebrities drink processed shakes? The truth is you can’t starve away fat! Conventional dieting and low fat and low carb diets just create a slower metabolism. Even worse, processed foods, shakes and bars disrupt the key hormones that are critical to losing fat weight and managing your health. ~ Jen Brooks-President and Co-Founder of GOLO, HWNP, NANP. The problem with conventional dieting is you lose too much muscle and not fat weight. The more you diet this way, the slower your metabolism becomes, making it easier to gain weight and more difficult to lose. Most dieters on conventional diets unfortunately never even come close to reaching their goal weight. Are carbs and fat really the problem? The diet and processed food industry have brain washed us into believing carbs and fat are bad for you so you will buy their crash diets or low calorie and low-carb or low-fat processed diet products they claim taste great and will make you healthy. They have convinced us that you don’t have time to eat healthy and that eating healthy is expensive. It’s not true! Fat: We need real fat from healthy oils, whole milk dairy, and lean proteins for your body to function properly. Healthy fats are critical to balancing hormones, longevity, overall good health and reducing your risk of diseases including dementia and Alzheimer’s disease. Processed diet foods deprive the body of these fats and replace them with unhealthy, highly processed fats that contribute to disease and illness. Carbohydrates: Your body needs healthy carbohydrates like potatoes, rice, beans, bread, pasta and fruit to give the body an immediate source of energy. Healthy carbohydrates give your body antioxidants, fiber and the critical nutrients the body needs for overall good health. Balance Hormones - Lose Weight! Hormone imbalances block your body’s ability to release stored fat, and cause more fat storage because they influence appetite and fat distribution. Hormone imbalances trigger stress and anxiety, cause fatigue, hunger and cravings, poor sleep quality and other symptoms all which drive emotional decisions like overeating, bingeing and cravings for fatty or high sugar foods. The secret to sustainable weight loss and good health is balancing the hormones that affect weight and increasing metabolic efficiency so you can lose weight easily. If you experience any of the hormone imbalance indicators below, you need to take a different strategy so you can restore balance to the hormones that affect weight and your health. With GOLO you can lose fat, improve hormone efficiency, and improve glucose and insulin performance so you can eliminate unhealthy dieting and diet foods for good. In 2008 the founding GOLO medical team set about to find a healthy and affordable weight loss solution. Research showed that as consumers gained weight, diabetes, heart disease and other risk factors increased, and conventional diets didn’t help. They concluded that diet and exercise alone was not sufficient to provide lasting weight loss and that nutraceutical intervention along with a realistic lifestyle plan could enhance results by getting to the root cause of weight gain. As a result, they developed a patented, natural nutraceutical, called Release, that works with the hormones that affect weight, including insulin - the hormone that controls metabolism, and the GOLO for Life Plan that shows you how you don't have to diet to lose weight. Release helps put you in control of your metabolism. Release targets fat - and works fast to start repairing metabolic health. Release STOPS further weight gain and starts to repair the imbalances that prevent weight loss. Taken with meals, Release helps to enhance results, keep you fuller longer, and reduces hunger and cravings so you don't need willpower! The ingredients in Release are specific plants and minerals that have been successfully and safely used and are clinically proven to address key hormones that affect weight, and could also improve health. The 7 natural plants and 3 critical minerals are combined in a proprietary blend that together created the mechanisms of actions needed to balance the hormones that affect weight, increase metabolic efficiency, control blood sugar levels and increase energy and vitality. ~ Lisa* lost 50.6 lbs., 7.5 inches off her waist and eliminated arthritis medication in 37 weeks. Fixing your weight problem from the inside out is the key to sustainable and lasting weight loss. The natural plants and minerals in Release target dangerous visceral fat that is driven by hormones. Release eliminates fat by balancing the hormones that regulate fat and carbohydrate metabolism, control stress, cravings and hunger between meals, and overall metabolic health. The proprietary formula is delivered at the clinically studied dosage and is proven to help reduce insulin resistance and stubborn belly fat. Release is clinically proven to enhance weight loss and improve key health indicators. In several 6-month studies conducted on GOLO, study participants lost on average 37.4 pounds (16.1% of body weight), 6.4 inches around their waists, 23.3 inches overall, 3.4 dress sizes and 5.3 pant sizes. In a 2018 13-week randomized double-blind placebo-controlled study on overweight subjects, those taking Release lost significantly more weight, inches around their waists and lowered their health risk markers more than subjects taking a placebo. Participants on Release lost on average 79.9% more weight than the placebo group. Release Participants lost 206% more inches around their waist than the placebo group. Study participants taking Release reduced health risk factors significantly more than those on placebo. Metabolic Age is an indication of metabolic and hormone efficiency, energy and vitality, cell regeneration and aging. In GOLO pilot studies participants reduced their metabolic age by 8.3 years in just 90 days, 13.1 years in 6 months, and over 20 years in only 1 year. Release is made in the USA at an FDA registered pharmaceutical facility which is NSF International, Health Canada, TGA and Organic certified. In addition, Health Canada* has recognized and supports additional functions of Release as listed below. While you can take Release with any diet to enhance results, we recommend a different approach and one that will give you even better results, improve your health and save you money, time and most importantly avoid the damage caused by starvation dieting. We can show you how to get back to the basics with real food that eliminates the need to count calories, cut food groups or read labels – and you will know exactly what you are putting into your body. GOLO is committed to helping you reach your goal and improving your metabolism so you never have to diet again. When you order Release, we will send you our GOLO for Life Plan Free. Our 100% money back guarantee promise. GOLO has a 98% satisfaction rate - but if for any reason you aren't completely satisfied, simply call or email us for a complete refund. Shipping is FREE and GOLO does not auto bill or auto-ship and there are no monthly fees - EVER! Need support or have questions - GOLO offers free telephone and online support 7 days a week! Take control of your weight and health! Feel better immediately and realize the better way to lose weight is with GOLO. GOLO has helped over 400,000 people lose weight and keep it off, and improve their health and vitality. With GOLO, many have been able to avoid, reduce and eliminate medications and reverse weight related health conditions like Type 2 diabetes and heart disease. Within days of starting Release you will start to feel better, more balanced and energetic. You may be sleeping better and feel like you have more clarity and focus. Why? Because your body is getting the support it needs to function properly, and can start releasing stored fat. Within 30 days you will have lost noticeable weight, improved your health and vitality and will see that any goal is achievable.